Collect stamps and receive more drinks on us. 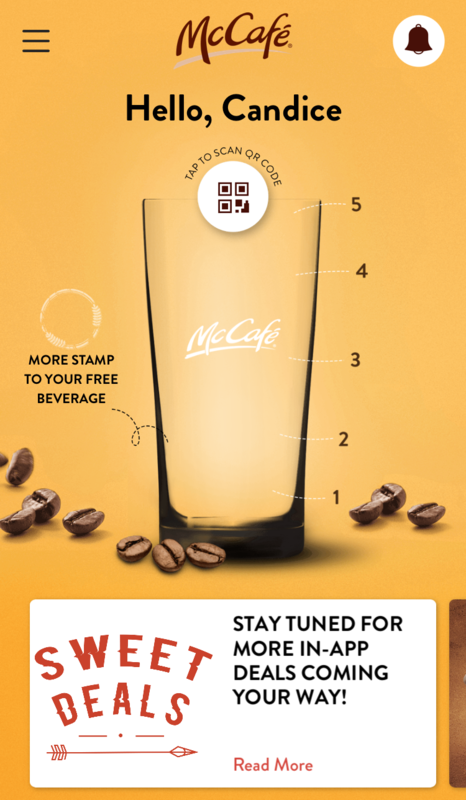 Earn a stamp with every purchase of McCafé beverages. 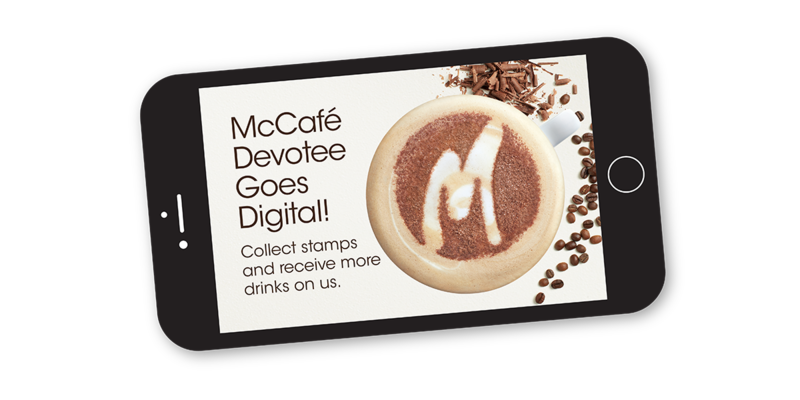 Receive a free drink for every 5 stamps collected, redeemable at McCafés everywhere. Plus a host of rewards and crazy deals, all happening with the App. Download the app from Google Play & App Store. Register for an account and sign in. Earn stamps with your purchase! Simply click on your personal QR Code on the homepage to identify yourself. Your Barista will scan your QR Code to record your purchase. 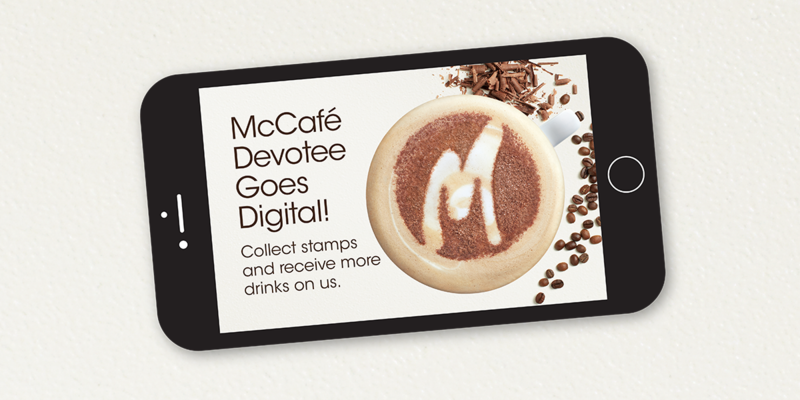 Each McCafe beverage purchase will automatically be converted to a stamp. 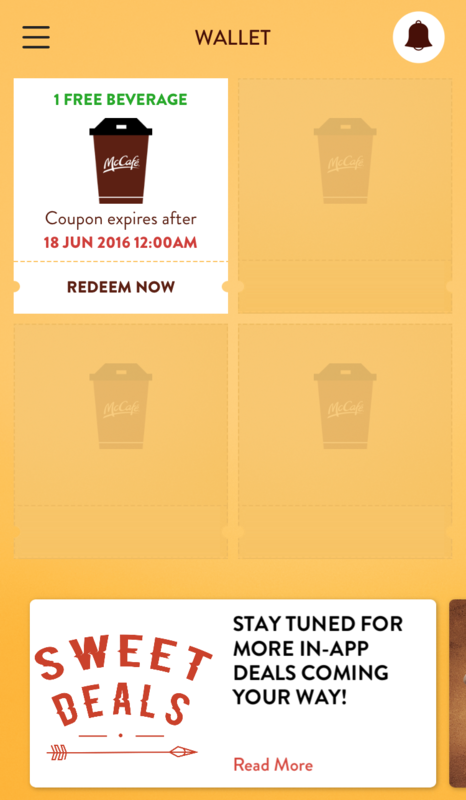 To redeem your free drink, click on your wallet and the coupon you wish to use. Your Barista will scan your personal QR Code and the Coupon QR Code. Enjoy your free beverage! 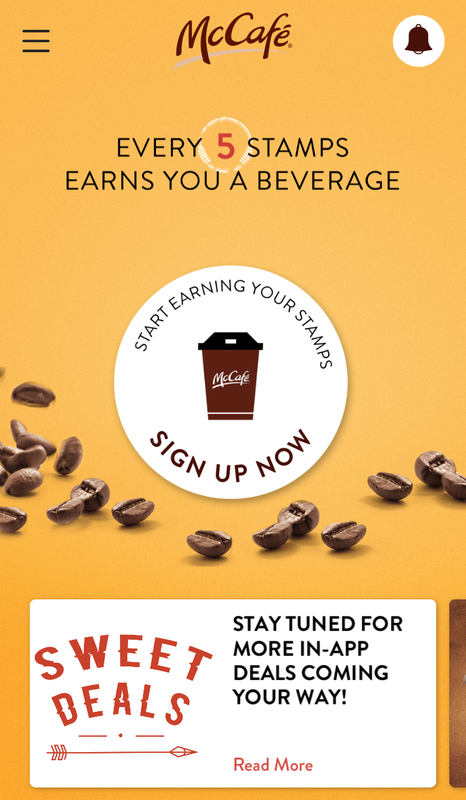 Stay tuned with McCafe’s attractive in-App deals, especially tailored for our loyal customers. Enjoy opportunities to earn double stamps and receive free drink upon purchase, and much much more. That’s how sweet life gets with our new App.